€13Bln EU Defence Fund: Just a Routine Move or a Step Toward Creation of European Army? 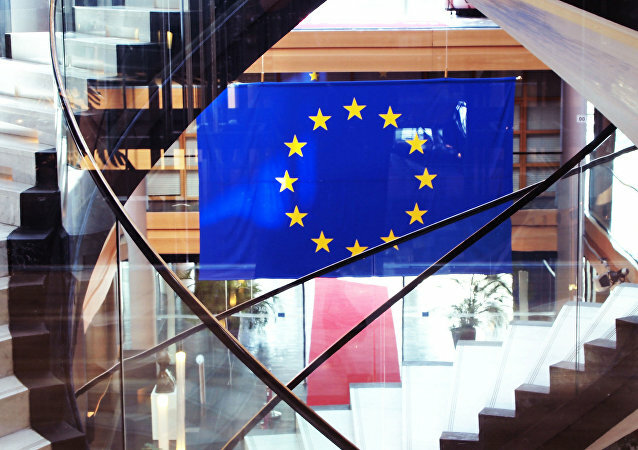 The outgoing European Parliament approved during its last plenary session a deal establishing a €13 billion defence fund that is aimed at boosting the bloc’s defence industry. Sputnik asked Anneke de Laaf, an independent political analyst from the Netherlands, what the main purpose of this move is. Jean-Claude Juncker, who is set to leave his top EU job on 31 October, has praised the long-time head of Germany, with whom he has worked side by side since 2014. 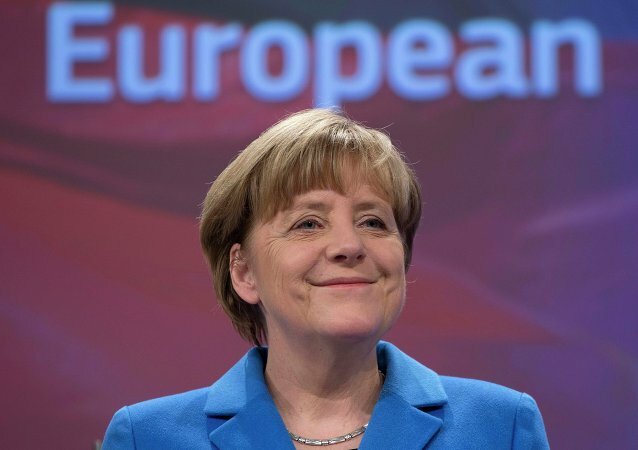 He dubbed Angela Merkel, who is expected to leave her post as chancellor in 2021, an “endearing work of art” and predicted a bright future for her in the EU leadership. 20 Years of Euro: What Would Portugal Be Without the Single Currency? In 2019, the euro, the official currency of 19 EU countries, turns 20 years old. Portugal joined this project from the very beginning, abandoning monetary sovereignty and turning its national currency, the escudo, into a collector's item. Two decades later, experts point to the difficulties that now threaten the existence of a single currency. Earlier, UK Prime Minister Theresa May said in a letter to civil servants that preparations for a no-deal outcome should continue despite a new Brexit deadline extension. The incident took place at a ceremony dedicated to the commemoration of the Rwandan genocide that left some 800,000 dead. The latest development appears to hammer the final nail into the coffin of a no-deal Brexit happening in the near future. While it doesn’t necessarily rule out the prospect in the long run, many who believe that the UK should just cut its losses and abruptly leave the EU are rapidly losing hope of that ever happening. EU leaders met in Brussels to grant the UK a second Brexit extension, with France pushing the hardest demands among the 27 member states. Theresa May stated that she hopes for an extension which gives the UK more time to agree on a deal to leave the EU in a "smooth and orderly way." Sputnik discussed the ongoing talks with journalist Marcus Stead. 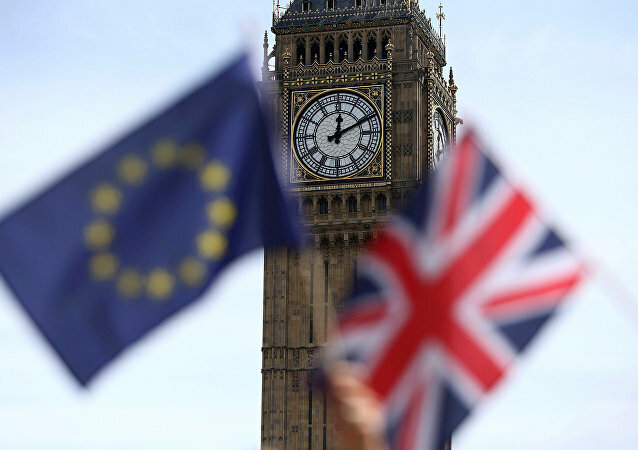 A 'no-deal' Brexit is now a likely scenario, the European commission also said during the briefing on Wednesday. In March, Hungarian Prime Minister Viktor Orban’s ruling Fidesz Party was suspended from the powerful right-wing conservative alliance in the EU – the European People's Party - despite the upcoming EU parliamentary elections scheduled for 23-26 May. Brexit Impasse: What Does May Hope to Accomplish in Extra 3 Months? The British prime minister is seeking another three months to achieve common ground on the Brexit deal with the House of Commons. Speaking to Sputnik, European scholars have shared their opinion on May's new strategy, the probability of a no-deal Brexit and the potential consequences of the scenario. BRUSSELS (Sputnik) - The United Kingdom is highly likely to crash out of the European Union without a deal, European Commission Vice President Jyrki Katainen warned on Thursday. While British lawmakers have yet to break the Brexit impasse ahead of the 12 April deadline, French President Emmanuel Macron stated that the EU cannot be held hostage to the Brexit crisis. Speaking to Sputnik, a British business expert and an academic shared their views on the message that the French president sent to London. 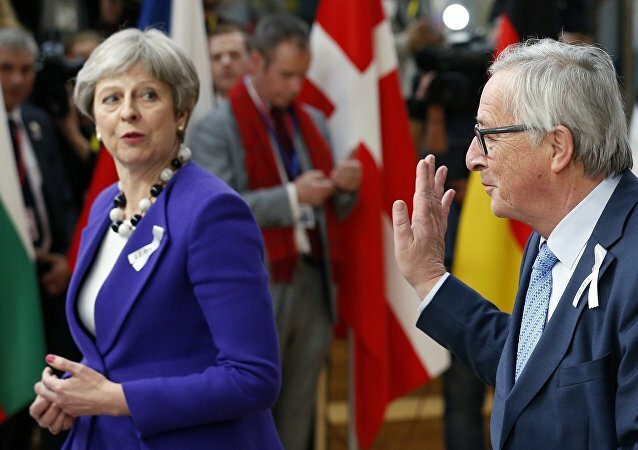 In the latest developments surrounding Brexit negotiations between Brussels and London, Theresa May’s optimistic outlook on reaching a deal but needing a bit more time has been dealt a blow by the European Commission President. Political rhetoric over Brexit seems to have gone from bad to vulgar, as a senior European politician condemns the indecisiveness and factional fighting that has paralysed the UK parliament’s progression on leaving the EU. BRUSSELS (Sputnik) - President of the European Commission Jean-Claude Juncker has warned that Brussels, which has been very patient with London throughout the Brexit process, is starting to lose patience as the United Kingdom has so far failed to achieve any sort of unity over the country's withdrawal from the European Union. 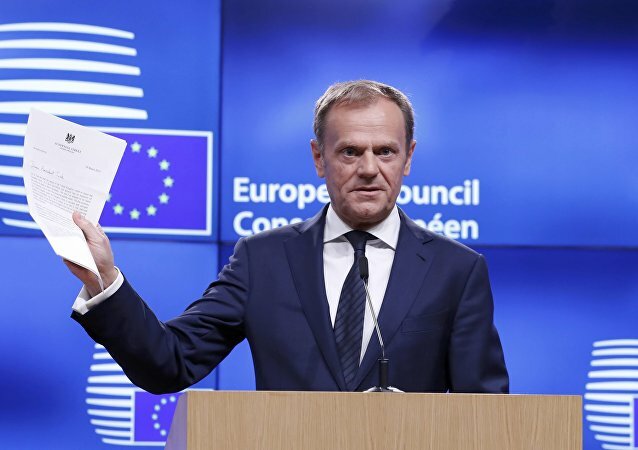 Mr. Tusk was speaking to MEPs in Strasbourg who were debating the Council's conclusions on Brexit last week, which included that EU27 member states should uphold a two-part extension of Article 50 which would lead to the UK taking part in European elections in May. Talk about the formation of a pan-European army has been going on for decades. Yet, it is only over the past few years that the possibility has been seriously considered among politicians and military officials of the bloc’s constituent nations. 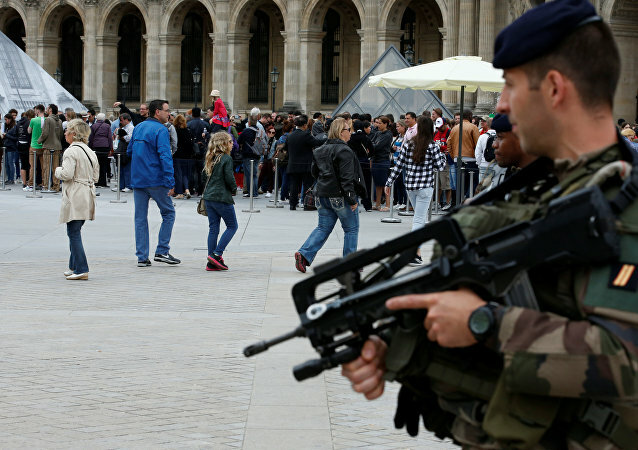 Now, a group of UK generals are urging caution. 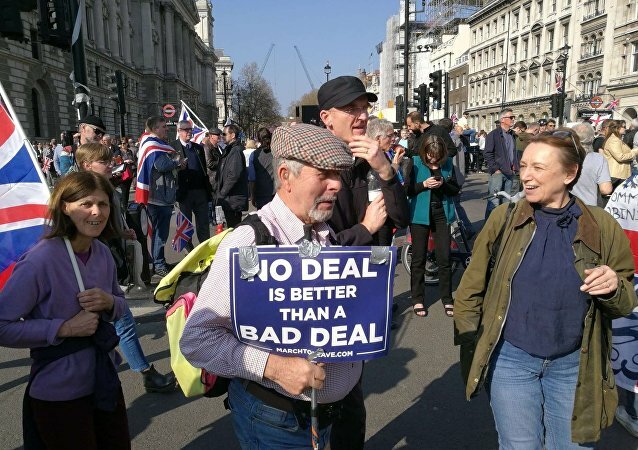 While the potential economic destabilisation for the UK and EU wrought by a Brexit of any kind, including a no-deal one, has been the subject of debate since the 2016 referendum, a new study paints a rather dark picture of what to expect. The unremitting barrage of signatures is itself a sign of how polarised Britain is when it comes to Brexit. On the one hand, millions support a swift departure from the EU, on the other, millions clearly wish to stay.